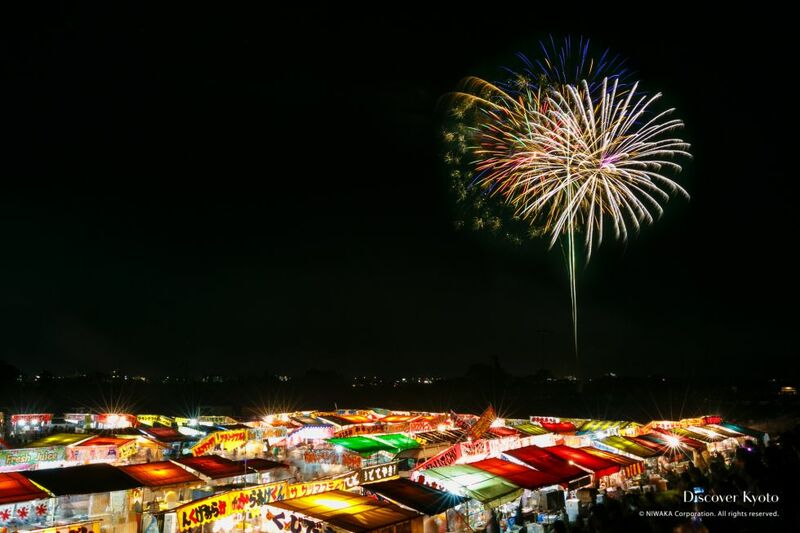 August brings with it the Obon Festival, and people all over the country celebrate their ancestors as well as the summer season itself with lanterns, bonfires, and fireworks. Due to the large number of temples in Kyoto City, it is a popular destination during the Obon period, when people traditionally believed their ancestors would return to their families for a short time. Various religious events are held throughout the month, and classic summer events such as firework festivals light up the night. 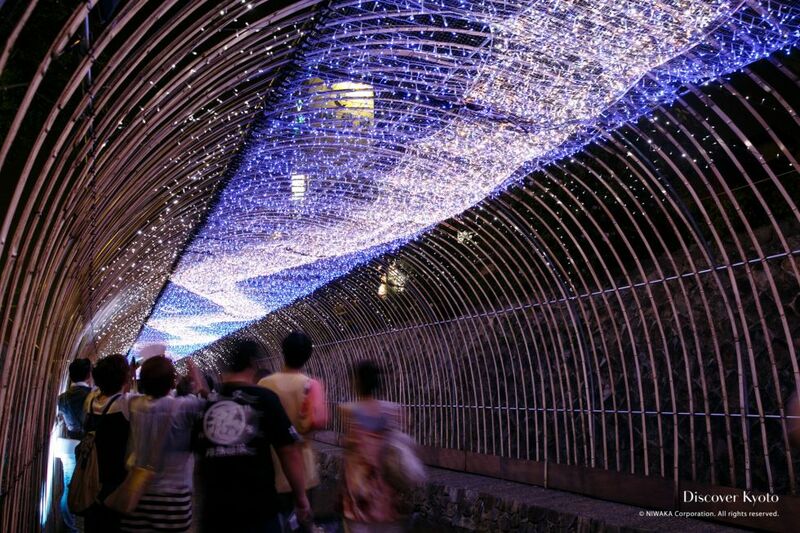 During the first part of August you can enjoy Tanabata Star Festival illuminations and events in two separate locations, along the Kamogawa and the Horikawa rivers. 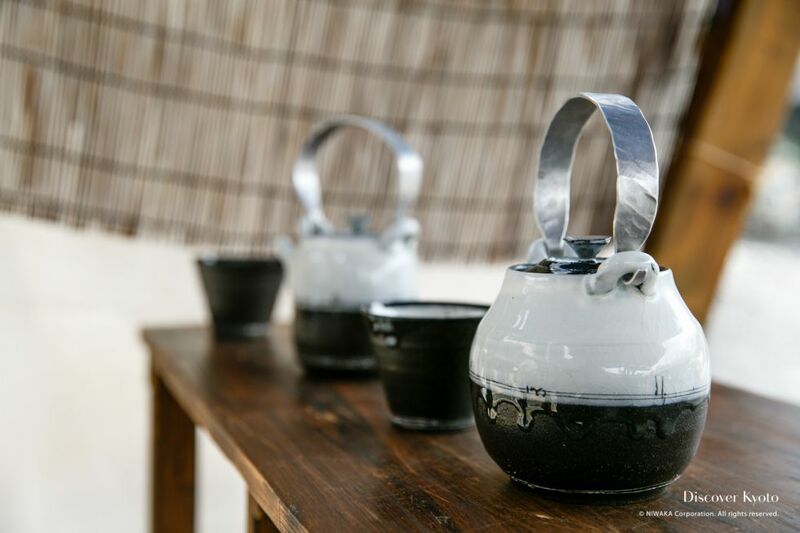 The Gojō-zaka Tōki Matsuri was started back in the early Taishō era and has grown to become one of the largest pottery fairs in Japan. This colorful fireworks festival is held along the Hozugawa river in Kameoka, a city over the mountains to the west of Kyoto. 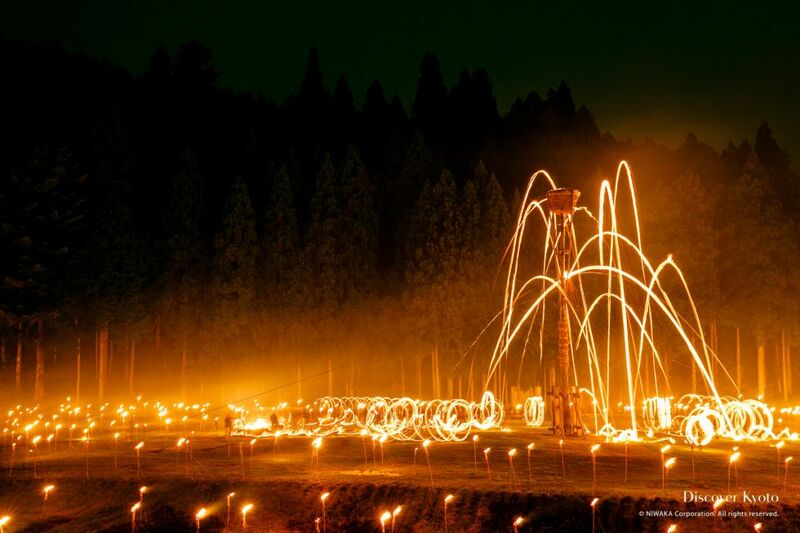 A countryside event that highlights some of the traditions in the more rural areas of Japan, the Matsu-age Torch Lighting festivals are held in three outlying villages in Kyoto during the month of August. 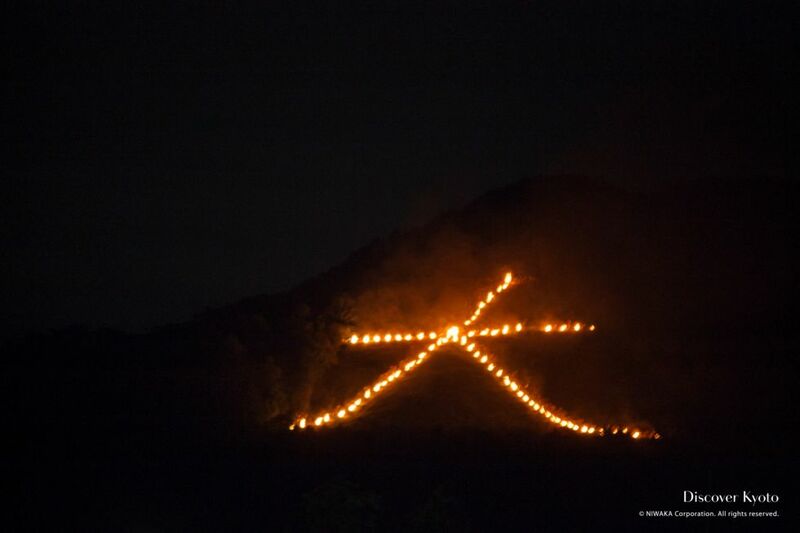 The Gozan Okuribi bonfires are lit on five mountainsides around Kyoto as part of arguably the most famous Obon festival in the country. 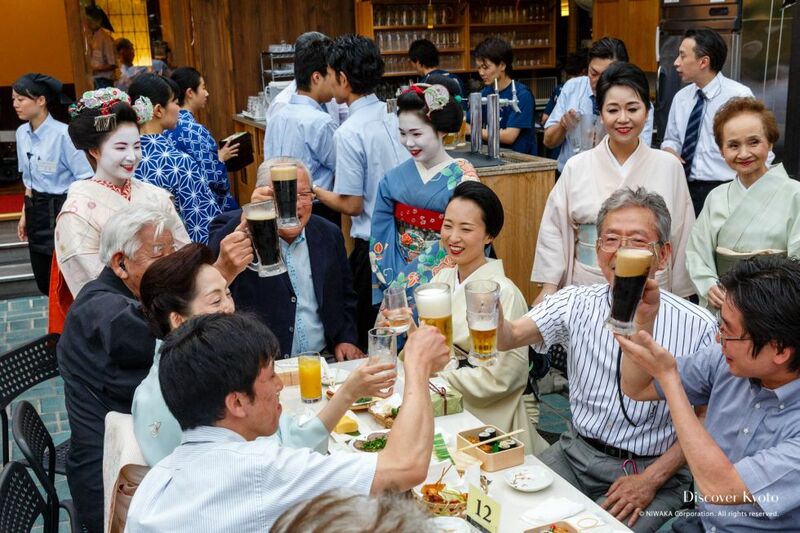 A chance to enjoy a cold beer and delicious food in the company of some of Kyoto's esteemed geiko and maiko, Kamishichiken geisha district opens their theater as the Kamishichiken Beer Garden. 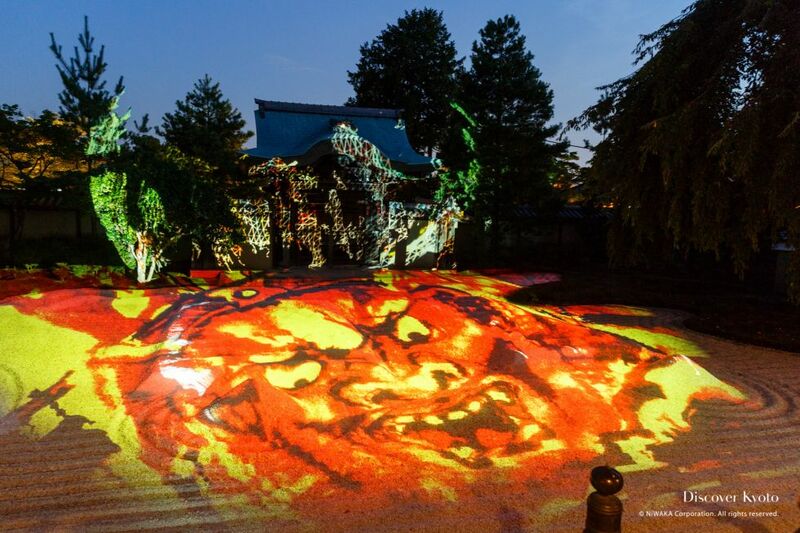 Kōdai-ji in Higashiyama is host to a projection mapping light-up in summer, allowing you not only to explore the grounds at night, but also to enjoy an interesting Japanese yōkai (spirit/demon) themed exhibition at their "Illustrated Night Parade of One Hundred Demons" event.